"CMIA helped to explain the potential for project-based mechanisms across a variety of constituencies and is a key voice driving the conversation on results-based finance and sector approaches for scaling-up emission reduction investments. We urgently need input from organisations like CMIA to operationalise Art 6 of the Paris Agreement." Germany’s plan to shut down dozens of power plants burning coal over the next couple of decades is uniting traders and analysts on one thing: price swings in markets from power to natural gas and carbon allowances are poised to increase. Renewable energy last year overtook the dirtiest fossil fuel as Germany’s biggest source of electricity. Closing coal stations that are designed to provide stable output from the grid, coupled with the continued expansion of solar and wind plants, will give volatile green sources an even larger share of total output in the future. Traders are on tenterhooks for any clues as to how severe the start of the exit will be. News could emerge in days ahead of a report by the nation’s Coal Commission due on Feb. 1. While the overall phase-out will last until the late 2030s in order to protect the industry’s 50,000 jobs and local economies, how much capacity will go in a first phase over the next few years is key for energy markets. “Germany’s coal phase-out is likely to drive even greater volatility in order for the continent to meet requirements in periods of low intermittent renewable supply,” said Nick Campbell, a risk manager at industry consultant Inspired Energy Plc. Solar, wind and hydro dethrone old king coal in Germany’s power generation mix. The commission has delayed its publication at least twice. Europe’s biggest economy, already set to miss its 2020 target to cut carbon emissions, will start to phase out the fuel to help meet the obligations under the 2015 Paris Agreement for the next decade. The question of how much power plant capacity should be shut down is still under discussion. Environmental groups, including the Europe Beyond Coal network, believe that Germany should shut at least 16 gigawatts of capacity by 2022 in order to put itself on a pathway to reach its obligations under the Paris Agreement. “We hope that effort would be scaled up toward a full phase-out by 2030 or sooner,” said Kathrin Gutmann, campaign director at the network, which includes WWF, Greenpeace and other groups. Annual decommissioning of German hard coal and lignite generation capacity is likely to be higher in the first wave of closures (2019-22) than in the latter years, according to our expectations. In our coal phase-out model, we estimate that about 30 percent of German coal and lignite-power capacity will be shut through 2022. Since a lot of hard coal is imported from abroad, we assume that policy makers will shutter that capacity first before closing lignite power plants and mines, which employ local, unionized labor that represents a strong political force. Removing coal and lignite from the system significantly reduces the effect of carbon emissions pricing on power prices. This, in tandem with the extra wind and solar capacity needed in part to replace coal, counteracts the need to burn more expensive natural gas. News on the coal closure has already to some extent been priced into Europe’s energy markets, says Guy Smith, head of gas trading. Natural gas can be used as a transition fuel in the context of dismantling coal capacity. If Germany starts shutting down lignite faster than predicted, markets might respond fast, said Trevor Sikorski, head of natural gas, coal and carbon research at the industry consultant. Price curves will start responding and sentiment will change as closures start happening in the next couple of years. He expects a bigger impact on the carbon market than for natural gas. Significant shutdowns in the first part of the decade will certainly affect prices much more than closures in the latter part of the decade. If shutdowns target lignite more than hard coal, the effect is likely larger since lignite is a domestic power source. Spark spreads (the profit margin for gas plants) should increase and the degree of the rise depends on the design of the phase-out policy. 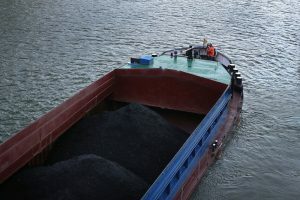 The German government will have to decide on the volume of carbon permits it sells and if it ends up cutting the quota the effects could be neutral: the decline of emission-allowances demand would be offset by reduced auction supply. The phase-out certainly adds a bullish element in the power mix. However, absolute power-price developments also depend on the impact on and from carbon prices and the state of the global gas market, according to Carsten Muench, managing director at Axpo Germany. Phasing out lignite stations in Germany “is probably generally supportive of coal and gas contracts in Europe,” said Louis Redshaw, founder of the London-based emissions trader. European energy markets are already factoring in a gradual phase-out of coal in Germany and other European markets, according to Artur Lenkowski, senior associate for European power, gas and renewables. A key driver affecting German power prices is the addition of renewable capacity which is putting pressure on power prices. The impact of a huge increase of renewable capacity trumps any upside potential from a more rapid coal exit. More volatility is expected in natural gas markets as the fuel will more frequently be used at short notice to help meet demand, because renewable energy is difficult to forecast, said Andy Fairley, head of natural gas at Griffin Markets, a brokerage in London.